Rain will taper off today with much cooler temperatures. Meteorologist Kari Hall has the details in the Microclimate Forecast. So much for the spring-like weather. 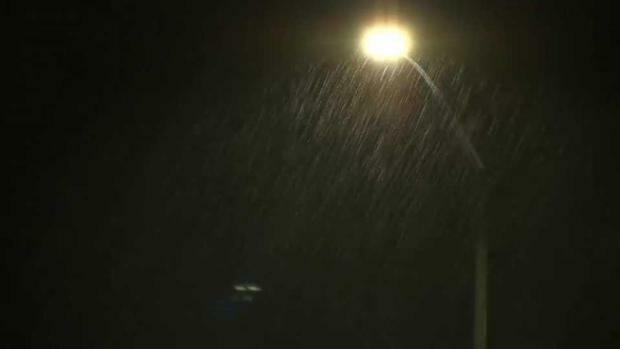 Midweek showers made for a slick Wednesday morning commute for Bay Area motorists. The scattered showers are slated to continue throughout the day, according to the National Weather Service. The midweek soaker isn't expected to douse the region with significant rainfall, the weather service reported. Half Moon Bay and Santa Cruz are predicted to lead the way with anywhere from one-half inch to 1 inch of rain between Tuesday night and Wednesday night. Most other Bay Area locations, including San Francisco, San Rafael, Santa Rosa, Concord, Livermore and San Jose, could pick up one-quarter to one-half inch. The wet weather is expected to move out of the region by Thursday, but another storm system is slated to swoop in Friday and linger into Saturday morning. "Rainy season not going to quit on us yet," the weather service tweeted. Midweek showers made for a slick Wednesday morning commute for Bay Area motorists. Pete Suratos reports.